We all know one of those areas that for too long has suffered due to poor quality and unreliable rubbish removal, Mill Hill being a prime example. With no one punctual and affordable to turn to any area can quickly turn into a place dotted with unsightly piles of junk that dampen the mood and make people feel like they want to be elsewhere, and that’s no good for anyone. Our goal is to provide the help you need, when you need it, for prices that you can readily afford. If you are searching for a team you can rely on, then stop because your search is finally over. We love nothing more than the sound of our alarm clock going off in the morning because it means we can power our way to your door ready and willing to work up a sweat tackling even the biggest of big jobs. A huge rubbish clearance Mill Hill can call up whenever necessary is one thing, but how do we fair when it comes to a smaller periodic rubbish collection? Mill Hill has been one of our busiest areas for many years now, and we are pleased to say that business is picking up month on month. The reason for that is actually really simple when you break it all down. We are a company that takes great pride in providing the best customer experience money can buy, and we believe that there is no better advertising than a happy customer who tells anyone who will listen what an amazing experience they have just had! 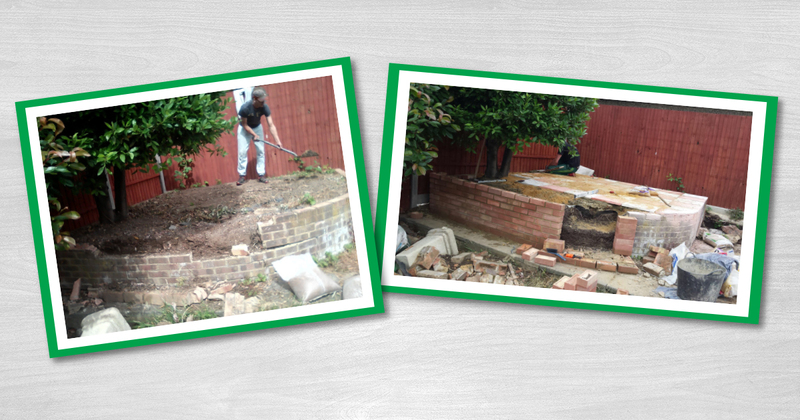 We know that when it comes to waste disposal Mill Hill residents make us their number one port of call, but did you know we are also expert gardeners? Check out our Facebook page today and see some of the fruits of our labour for yourself at the touch of a button. So it’s not just waste removal Mill Hill puts its faith in us for, but how do we work with businesses I hear you ask? Well, we treat every business just the same as every resident, and offer nothing but the best repeat waste collection Mill Hill business owners have ever experienced, because when it comes to rubbish disposal Mill Hill deserves the best and that’s a fact. By turning up when we say we will, getting the job done quickly and efficiently, and then setting off again without disrupting the working day we are the experts at making sure you have everything you need to be able to focus on what you do best. No matter whether you need a hand getting rid of a mountain of junk, getting your business waste removed in a flash, or you’ve been putting off taming the garden for what seems like an eternity be sure to remember that there is only one number you need to call. Get in touch with our team today and put us to the test. We guarantee that once you try us the first time you’ll never have to shop around again!